► In Search of... POSTERS!!! Links to Expresso Beans or other gig poster websites, specific to the poster for sale. 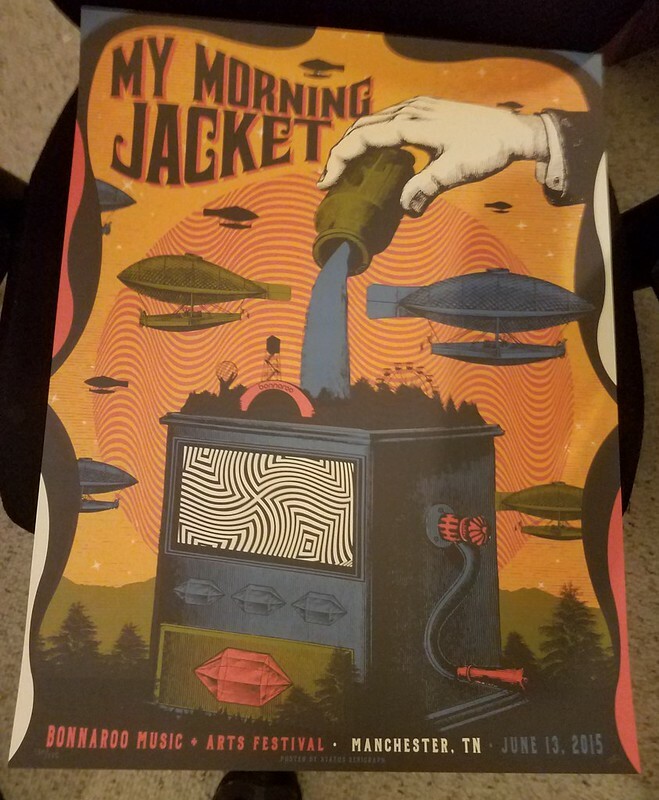 By definition, we are all fans of My Morning Jacket and this place cannot be another place on the interwebs for someone to make a buck off of another person's passion. If you're trying to flip or make money, use eBay and keep it off the Forum, please. Re: In Search of... POSTERS!!! Thanks John for setting this up. I'll start. I'm looking for these 3 and will pay or trade or a combination of both. PM me and we'll work something out. And finally scored the Brammer at the NYE Silent Auction. Agreed, thanks for setting this up. Would love to get my hands on Bonnaroo 2015 by Justin Helton. Foil preferred but either option is definitely welcomed. PM if you're looking to sell. I will respond quickly. PM/email sent. Here's my copy, not a foil, though. If anyone has an extra of the variant, I am looking. Was able to get variants of the first 2 nights at venue but night 3 (NYE) was sold out when I got to venue. Missed Burwell online sale due to driving back from Colorado. *link is for the tan variant, but open to any available.